Very interesting new lens offering from LOMO, a re-issue of the “legendary” (!) 50mm f.15 Soviet made Jupiter-3, itself a clone of the older Carl Zeiss Jena Sonnar. Over half a century since the original Jupiter 3 lens was designed, we’re extremely proud to introduce the New Jupiter 3+ Art Lens to our line of exquisitely handcrafted Lomography Art Lenses. Designed by the highly experienced Lomography team and manufactured by the expert technicians at the exact same Zenit factory in Russia as the original lens, the New Jupiter 3+ Art Lens retains the strong character and Soviet spirit of its forbearer — crisp sharpness, smooth, natural colors and lush, dreamy bokeh — while also transcending it in many ways. First developed in Soviet Russia in the late 1940’s, the original Jupiter lens was crafted by the optical pioneers at the Zenit factory in the suburbs of Moscow and came to be loved for the incredible character it gave to the millions of images captured with it. Now, Lomography is continuing the legacy of this famed lens and transporting it to modern times with substantial design improvements. Equipped with a versatile 50mm focal length and f/1.5 maximum aperture, the New Jupiter 3+ Art Lens has an outstandingly shallow depth of field at large apertures and yields stunning results in all kinds of settings. Whether you’re shooting in low light or bright sunshine, you’ll end up with an extremely unique image quality that makes this lens incredibly special and gives a character entirely its own! 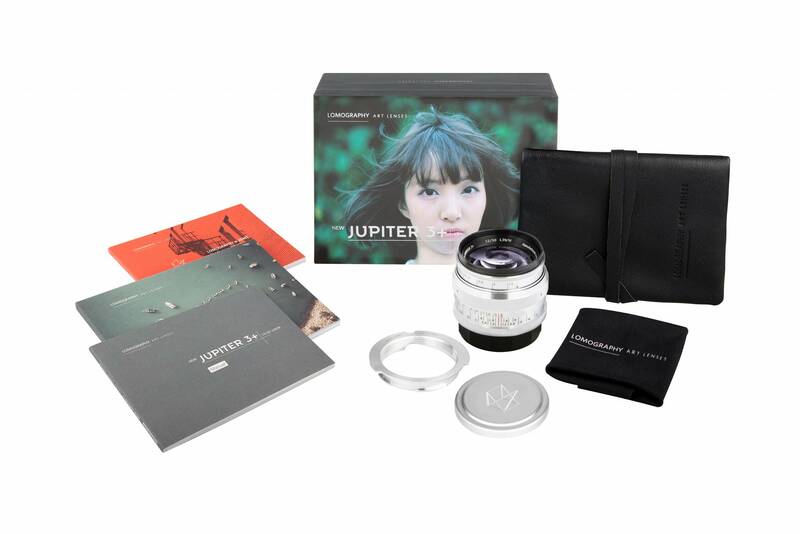 The New Jupiter 3+ Art Lens is being produced in small batches and thus will be available on a very limited first-come, first-served basis. Head to the Lomography Online Shop right now to get yours! For more info, head to the New Jupiter 3+ Art Lens site. This entry was posted in Leitz Lenses, Thread Mount Leica and tagged Carl Zeiss Jena 5cm 1.5 Sonnar, Jupiter 3 on January 31, 2016 by Leicaphila.